Cutting the defense budget in the foolish notion that we should not be the world’s policemen is biting us already. We saved the world from great horrors three times. We ended World War I, which was otherwise bogged down in the worst military slaughters since the American Civil War. Instead of building on this achievement, the American public just wanted to forget all about war and we went isolationist, thus permitting World War I to morph into a much worse World War II, which we could not avoid. A world run by Nazis or the Japanese would have been unthinkable. Happily, that lesson was not lost on the victorious United States, the only major country not destroyed by that terrible war that claimed perhaps 30 million victims. We engaged in a 50-year “cold war” with the Soviet Union, whose damage to the subjects under their control was dreadful. Without us, Europe and much of Asia would have been victims of an ideology that sounds wonderful but can be seen in its worst version, North Korea. We like to think that we are not an imperial power, and compared to other imperial powers in history, we have not been bad. We were certainly an imperial power during our westward movement across our continent, briefly ruling over colonists from France and Spain and, of course, the Native American tribes. We actually had a real colony briefly after the Spanish-American war, the Philippines. We did far more good for the Philippines in a half-century than the Spanish did in their 500 years of occupation. We even voluntarily freed them after World War II. Our navy has been keeping the peace in the Pacific, appreciated by every country (aside from China) which would otherwise be arming against each other or be under the control of China. Our military has kept our global life’s blood of petroleum moving, despite the endemic chaos of the Middle East and today the blackmail of Russian gas and oil markets. And yes, we have misspent our military power in wars in Iraq and Afghanistan, not because our power was not needed, but because we made the mistake of staying too long while trying to democratize their ancient, nasty cultures. Real imperialists would have stayed and crushed them. Three of my favorite historians have addressed the issue of America’s beneficent role in the modern world, contradicting the likes of Ron Paul, who would have us go isolationist. The Case for Goliath: How America Acts as the World’s Government in the 21st Century, by Michael Mandelbaum, makes the case that the global order that we enjoy today is our doing. The World America Made, by Robert Kagan, does something like “It’s a Wonderful Life” in which he imagines what the world would have been like without us. And one of my very favorites, Robert D. Kaplan, a brilliant scholar of geography and geo-politics, has written “The Case for Empire” in the April Atlantic Magazine. Kaplan shows that empires have done much better than democracies in running large governments that protect minorities and further prosperity. We see today that in the effort to get rid of tyrannical dictators, we get instead either anarchy or ideological monsters who will will become the next dictatorship. As a democracy, we think it our duty to dethrone bad dictatorships. It did work with the Nazis, the Japanese, and the Soviet Union, but has not worked in Iran, Iraq, Egypt, or Libya. To be sure, Kaplan differentiates between secular dictatorships (or empires) and ideological ones. The Nazi and Communist empires were not like the cosmopolitan British, French, or Roman ones, and not even as stable as the Ottoman Empire. Our dream of a peaceful interdependent world governed by economic ties never worked. Nationalism and religion have always trumped good sense. Without us as policeman of the world, we would be neither as safe nor as free from real conflict as we are now. I hope that our current confrontation with the resurgent Russian empire will remind us not to disarm. 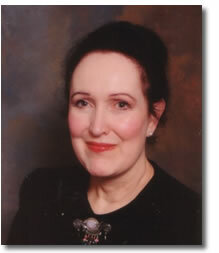 Dr. Laina Farhat-Holzman is a historian, and author of The Slave Who Lied But Once A Year (Persian tales). You may contact her at Lfarhat102@aol.com or www.globalthink.net.